Mister Rogers arrives with a toy backhoe which he uses on the floor to pick up pebbles from a box. He talks about how it takes a person to make things work and then sings You've Got To Do It as he continues playing with the toy. 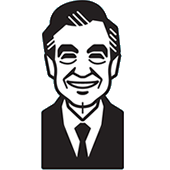 Before returning to the film studio, Mister Rogers talks about learning difficulties that Lou Ferrigno had as a child. At the studio, Mister Rogers talks to Mr. Ferrigno about what he does when he is angry. Mr. Ferrigno also talks about the hearing difficulties he had when he was younger. Moving on, Mister Rogers spends some time talking with Bill Bixby about dinosaurs. Back at the house, Mr. McFeely shares his video footage of Lou Ferrigno putting on the Incredible Hulk make-up. Mr. McFeely was given the forehead and nose materials used in the make-up process, both of which Mister Rogers is eager to try on. In the Neighborhood of Make-Believe, everyone tries to prove that the dinosaur is just someone in costume. Lady Elaine Fairchilde is asked about the "dinosaur" but avoids answering any questions. At the castle, Queen Sara has spoken with the dinosaur who seemed a bit intimidated himself. Back at the house, Mister Rogers spends some more time playing with the toy backhoe and talking about how he had difficulty as a child when it came to using a similar toy. He mentions that he kept trying and was eventually able to make it work before singing You've Got To Do It as second time. King Friday shows his aggressive side as his initial response to the dinosaur is to "get out the cannons...call the troops!" The Incredible Hulk television seris is the property of Universal City Studios, Inc. Copyright © 1979. All rights reserved. The Incredible Hulk character is the property of Marvel Comics Group, a division of Cadence Industries Corp. Copyright © 1979. All rights reserved.